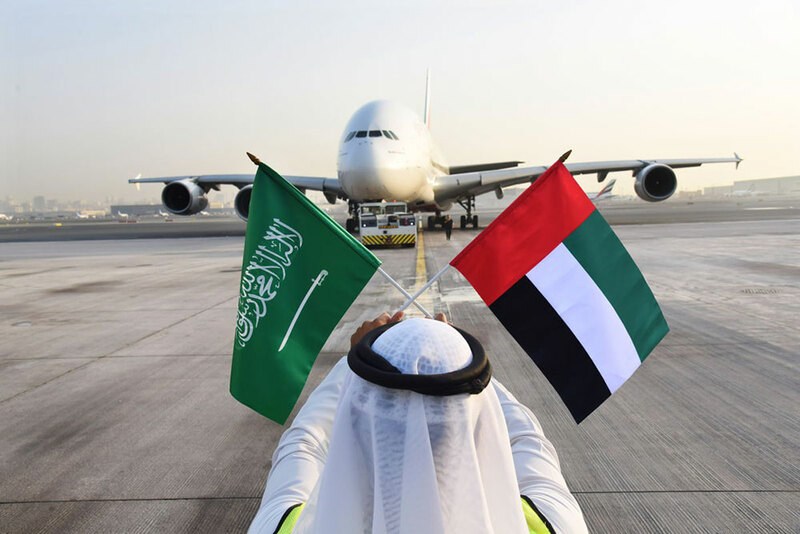 Dubai: Emirates will operate a special flight on September 23 to the capital city of Riyadh in Saudi Arabia, in celebration of the country’s 88th National Day. The special trip will pay tribute to the strong relationship between Saudi Arabia and UAE, on the occasion of the Gulf State’s national day. “The UAE enjoys a strong relationship with the Kingdom of Saudi Arabia through fraternal ties and constructive cooperation, as well as a shared vision for the future. Bringing the Emirates A380 is a fitting way to support the National Day celebrations,” said Shaikh Majid Al Mualla, divisional senior vice president, commercial operations centre for Emirates. The Emirates A380 service will touchdown at King Khalid International Airport as EK 813 and EK 814, departing Dubai at 3pm and arriving in Riyadh at 3:50 pm. The flight will then depart Riyadh at 6:50pm, arriving in Dubai at 9:40pm. Watch as preparations begin to mark the kingdom's special day.